Check out next year's event in Charlotte! Join us in Charlotte for the 2018 Brigade Congress! Code for America and the National Advisory Council are excited to invite you to the Brigade Congress in Charlotte on October 19th - 21st, 2019! If you work in your community to put technology to work in service of our local communities - then we want you! Submit and review sessions here! The Brigade Congress will be hosted at the Sonesta Hotel in Philadelphia located at 1800 Market St, Philadelphia, PA 19103. We have a room block at the Sonesta. Reserve a room. If you need a little help with travel expenses let us know and we will do our best to accommodate. Amtrak offers a 10% discount off the best available rail fare to (Philadelphia, PA) between (October 10, 2017 – October 18, 2017). To book your reservation call Amtrak at 1 (800) 872-7245 or contact your local travel agent. Conventions cannot be booked via Internet. Please be sure to refer to Convention Fare Code X41F-973 when making your reservation. This offer is not valid on the Auto Train and Acela Service. You can take SEPTA from the Airport Line to Suburban Station. The ride is 28 minutes and costs $8 per person. - Are a safe and respectful environment for all participants. - Are a place where people are free to fully express their identities. - Presume the value of others. Everyone’s ideas, skills, and contributions have value. - Don’t assume everyone has the same context, and encourage questions. - Encourage members and participants to listen as much as they speak. - Strive to build tools that are open and free technology for public use. Activities that aim to foster public use, not private gain, are prioritized. - Prioritize access for and input from those who are traditionally excluded from the civic process. 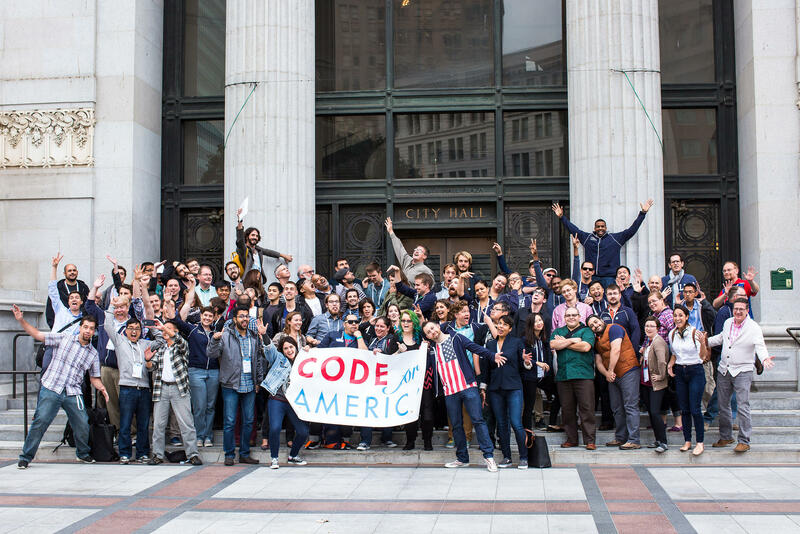 - Work to ensure that the community is well-represented in the planning, design, and implementation of civic tech. This includes encouraging participation from women, minorities, and traditionally marginalized groups. - Actively involve community groups and those with subject matter expertise in the decision-making process. - Ensure that the relationships and conversations between community members, the local government staff and community partners remain respectful, participatory, and productive. - Provide an environment where people are free from discrimination or harassment.